And then one day, a foreigner sits down next to you on the bus. Miracle of all miracles, she actually speaks Mandarin! Now’s your chance! Ask her your questions! I’m the one on the other side of that conversation, trying my best to answer the many questions I get about the U.S. that range from geography to education to foreign policy. I’m sharing more thoughts on that today at Taking Route. 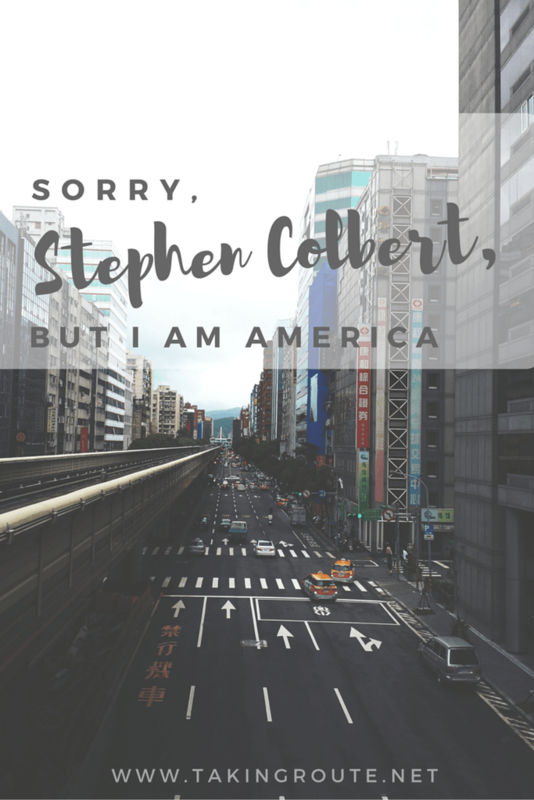 Read the full post here: Sorry, Stephen Colbert, but I am America.